Another potential candidate to be the Buffalo Sabres' next coach is off the board. The Philadelphia Flyers announced Monday that they have hired Alain Vigneault as the 21st head coach in franchise history. The 57-year-old has spent 16 seasons as an NHL coach, most recently a five-year stint with the New York Rangers, which began with a Stanley Cup Final appearance in 2013-14 and ended when they missed the playoffs last season. According to Pierre LeBrun, Vigneault received a five-year deal worth $25 million. "It is an honor to be selected as the next head coach of the Flyers," Vigneault said in the same statement. "The history they have established and the passionate fan base has made this a first-class franchise. I am excited to work with Chuck, the talented group of players and prospects coming up through the system, in order to return Philadelphia to the top of the NHL landscape." 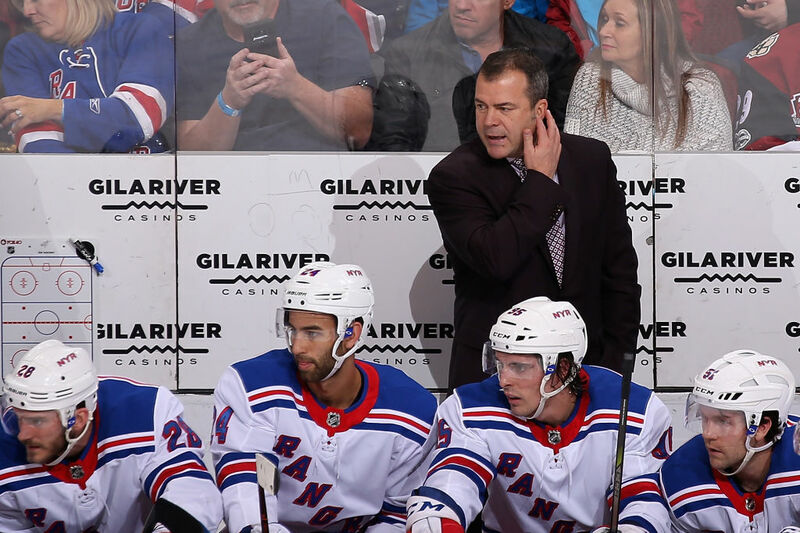 Vigneault was mentioned as a possible candidate for the Sabres because of a recent connection to Sabres General Manager Jason Botterill. The latter is serving on the management team for Team Canada's entrant in the World Championships next month, while Vigneault will be the coach.